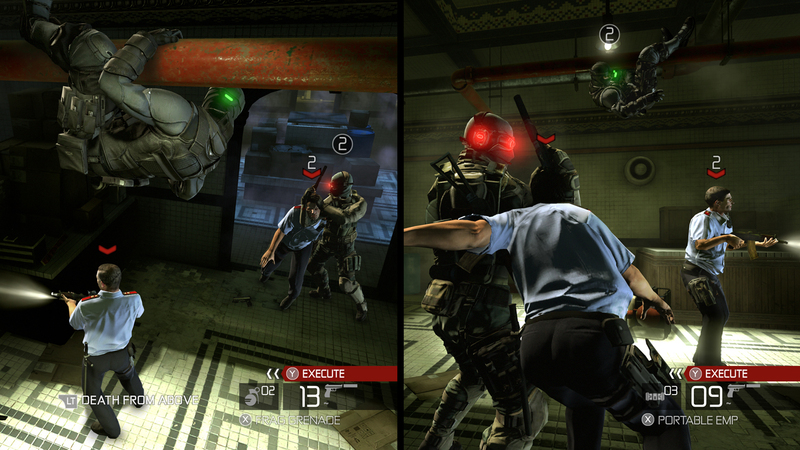 Patrick Redding came into the Splinter Cell series with Conviction’s co-operative mode. 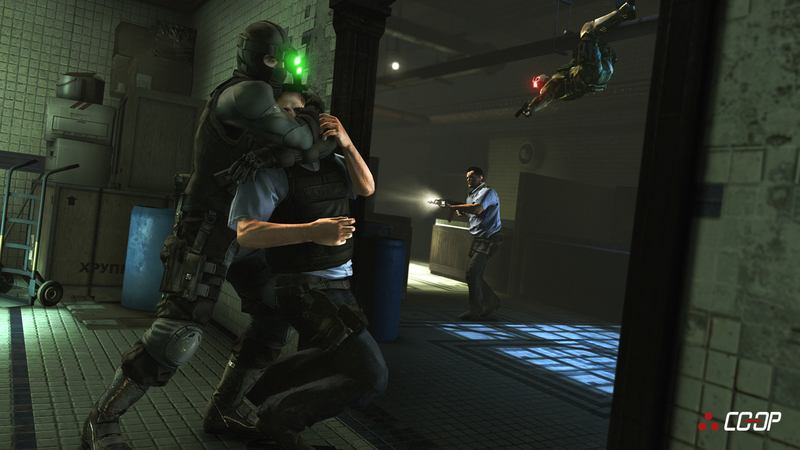 Now, he’s heading up development of the sixth Splinter Cell title, which is set to be the first big-budget release in Ubisoft Toronto’s portfolio. Our fascinating chat with him about artificial intelligence, failure design and the promising future of the stealth genre concludes Trade Secrets. 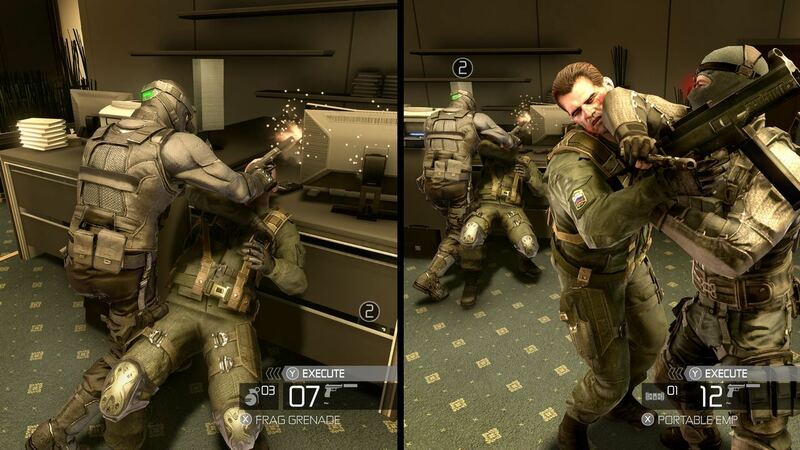 Redding: As a designer: There is no meaningful notion of stealth gameplay without an AI for the player to hide from. That’s true whether you’ve got a primitive detection model – “stay out of the cone!” – or a complex, highly analog model of human senses and reactions. So designing a challenging stealth experience with any depth at all means that you’re dealing in systems and that your game’s core will be systemic rather than just a scripted thrill-ride. If your whole game loop degenerates to “hide in this tree and stare at the NPCs until you perceive holes in the patrol path, then follow a hole until you reach the exit”, then all you’ve done is create a timing puzzle with expensive animation. But if you can deliver readable human behavior as a gameplay affordance, and give players interesting choices and spaces to explore, then you’ve done something difficult and special. 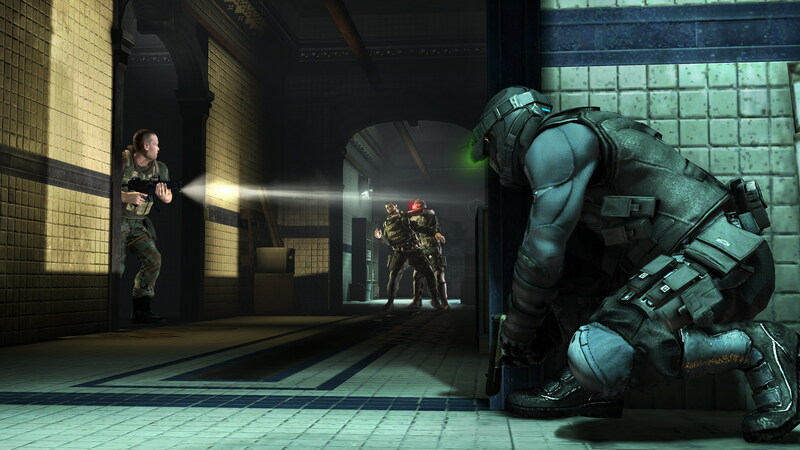 As a player: Stealth tends to be an expressive mode of play. Even if there is still an element of “get from point A to point B”, or “find, engage and destroy”. Because stealth play implicates everything from my choice of low-level input, to my avatar’s animations, to the environmental geometry, to the AI, to the graphics and audio; it tends to yield a lot of interesting emergent gameplay opportunities. If you can deliver readable human behavior as a gameplay affordance, and give players interesting choices and spaces to explore, then you’ve done something difficult and special. I think it mostly boils down to harsh failure design. Jesper Juul talks about this concept of “failure design”, and how you can have games that are extremely difficult to master but that manage to not piss off typical players because the signs and feedback are good, the cost of failure isn’t abusive and the cycle of trial-and-error fits within the metaphor of the game. 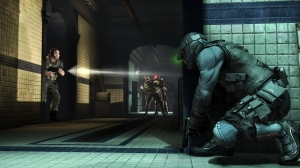 The problem with a lot of the original stealth games was that they required the player to sustain extremely brittle conditions, under stress, in order to remain undetected and advance. That dynamic can quickly alienate all but the most OCD player profiles. And as AAA games have become more immersive and seamless in their presentation of the player fantasy, the player suffers cognitive dissonance when it’s easy for their elite protagonist to commit mechanical blunders. Failure is an acceptable outcome of a calculated risk, but blunder always feels bad or unfair. And this has become the prevailing expectation for every genre: When Assassin’s Creed was first released, some fans of action-adventure worried that traditional platformer mechanics were missing. But the trade-off that ultimately made that franchise a giant commercial success was a free-flowing Parkour movement that embraced almost a racing-game style model of failure design. If you screwed up a jump it was because you over-extended yourself, rather than just blowing the timing of a single input by a quarter of a second. This was an inevitability. In the same way that we see “RPG Lite” mechanics finding their way into shooters or driving games; supporting the “stealth approach” is a natural outgrowth of games becoming more immersive. We should celebrate and reward the franchises that go this route because the alternative is an endless sea of first-person shooters with identical control mappings and color-schemes. I believe very strongly that our industry, on the AAA side, needs to level-up its AI to get it on par with the work that’s been devoted to graphics, physics and sound. This isn’t limited to stealth-oriented games; it’s a way past the uncanny valley of NPC behavior. As tempting as it is to believe that sales numbers bear out the scripted theme-park ride model, it’s not sustainable. That’s an objective fact. The more realistic and immersive we can make the game world appear, visually, the more disturbing it is when players hit the limits of their agency in that world. The only way forward to put our trust in interactivity – in the heart of our medium – and that means making games that are more systemic, with content that is more procedural. What does that have to do with stealth gameplay? Everything. Because the way forward for stealth is to allow more players to enjoy and master it. And that means moving away from stealth played “in the UI”, and toward stealth played in the facial expressions and body language of the AI. The vast majority of us have some innate ability to interpret those reactions and base decisions on those interpretations. It’s part of our animal wiring, our basic survival instincts. 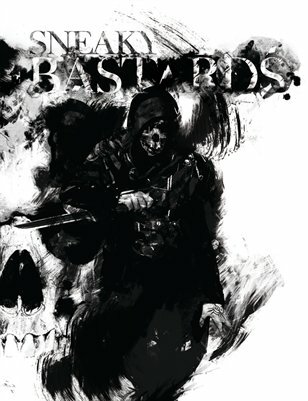 The way forward for stealth is to allow more players to enjoy and master it. And that means moving away from stealth played “in the UI”, and toward stealth played in the facial expressions and body language of the AI. Thanks, Patrick! This concludes Trade Secrets: The Stealth Interview Series. Access all interviews at the Trade Secrets hub, and let us know what your thoughts are on the state of the genre in the comments below. Klei Entertainment's Nels Anderson sneaks in to the Trade Secrets stealth interview series to talk voyeurism, planning and secret identities. Our stealth interview series kicks off with Arkane Studios' Harvey Smith and Raphael Colantonio. Read their thoughts on the future of the stealth genre here! If played with a competent partner, Conviction’s co-op was great, as was deniable ops. That he managed to make such a satisfying co-op campaign from the components of such a terrible single player game really is testament to his ability to pull off SC6 now that he’s heading up the project. He really seems to know what needs to be done to make this series great again. I hope it shows when we finally get to see the game in action. 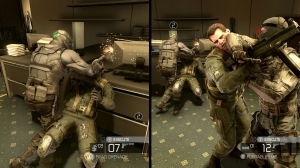 Absolutely agree about Conviction’s co-op – with the addition of a partner, the game becomes entirely about co-ordinating with them; that’s the fun part. I still miss the co-op moves from Chaos Theory, though, like giving your buddy a leg up. Interesting series. An abiding theme seems to be the need for AI improvements. I hope this can start to materialize now that visual fidelity has reached such high levels. Agreed. From a marketing point of view, AI improvements are much harder to “sell” to an audience than graphics or in-your-face action mechanics like Mark & Execute. I think, on the publisher side, the way the message is delivered needs to change as well. Release long-form trailers that show devs walking through a level and toying with the AI, showing its range of improvements while commenting on how that affects stealth gameplay. Don’t release two-minute trailers comprised of quick-flash cutscene bits set to booming bass – or worse, dubstep.